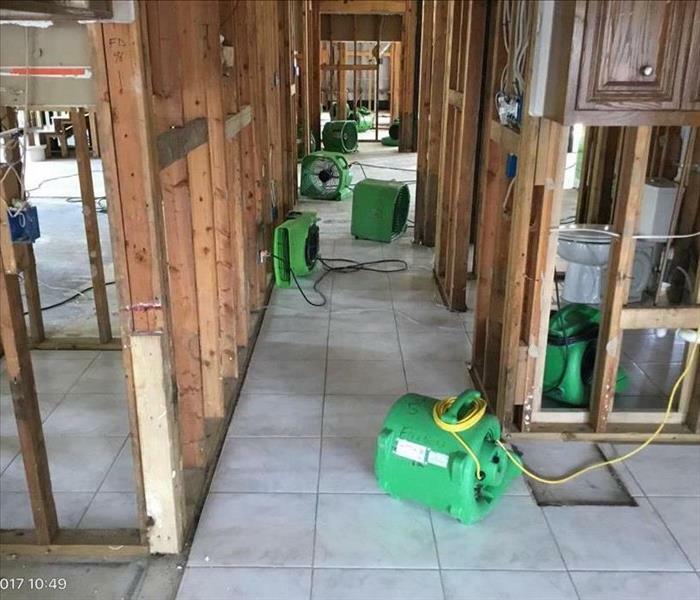 Our SERVPRO Of South Jersey City/ Bayonne was helping with storm restoration down in North Carolina following Hurricane Florence. We were parked in a very rural area which was at a higher elevation and not affected by flooding during the storm. 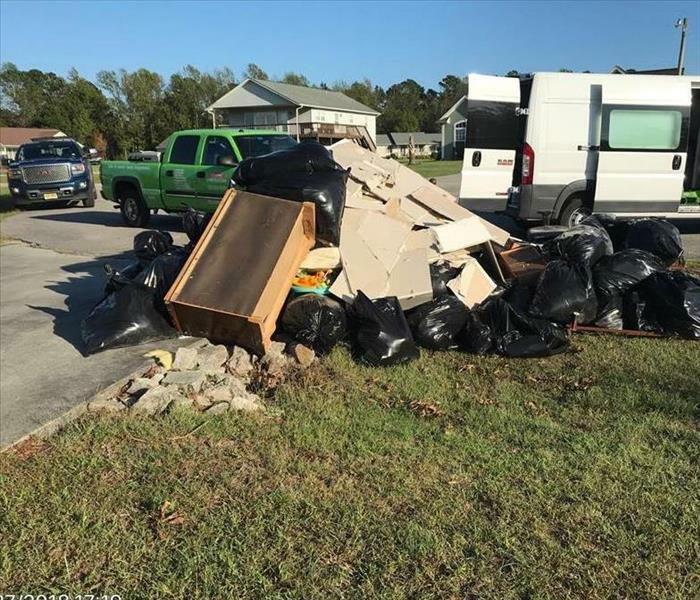 After Hurricane Florence hit North Carolina, SERVPRO Of South Jersey City/ Bayonne professionals traveled south from New Jersey to assist with the clean up. This home needed extensive demolition due to the damage from the wind and rain. 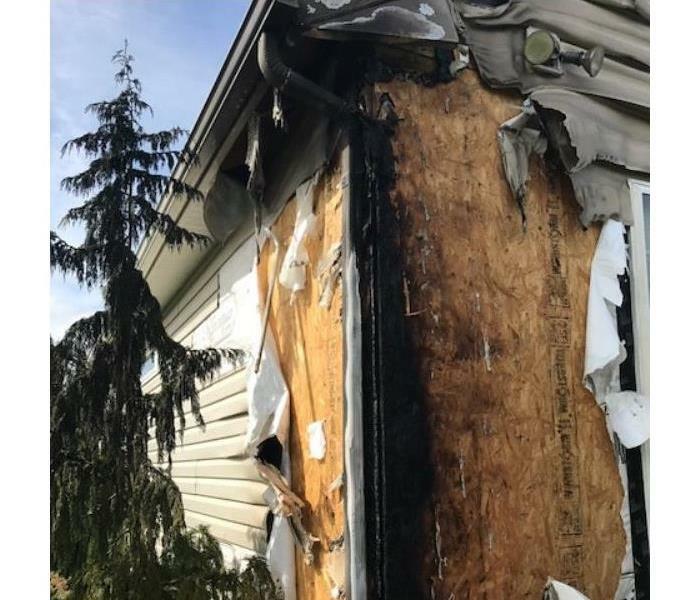 Upon arrival to this home affected by fire, SERVPRO Of South Jersey City/ Bayonne was struck by the amount of damage sustained by part of the main structure and surrounding area. The scene demonstrates the speed at which fire spreads and the intensity of the damage it inflicts on all it consumes. Here is one of our sprinters which is always ready to respond to a variety of disasters. It is easy to load, maneuver and empty. Our crew is able to store large amounts of equipment inside and can respond to multiple jobs back-to-back. This photo shows one of our crew chiefs using a special steam cleaning machine to properly sanitize the floor of a heavily soiled home. The high temperature and water combine to quickly and effectively remove contaminants and prevent microbial growth from forming. It is important to secure a property which has been affected by fire as quickly as possible. SERVPRO Of South Jersey City/ Bayonne responded to a call about the severely damaged condos in the photo which needed an immediate assessment. 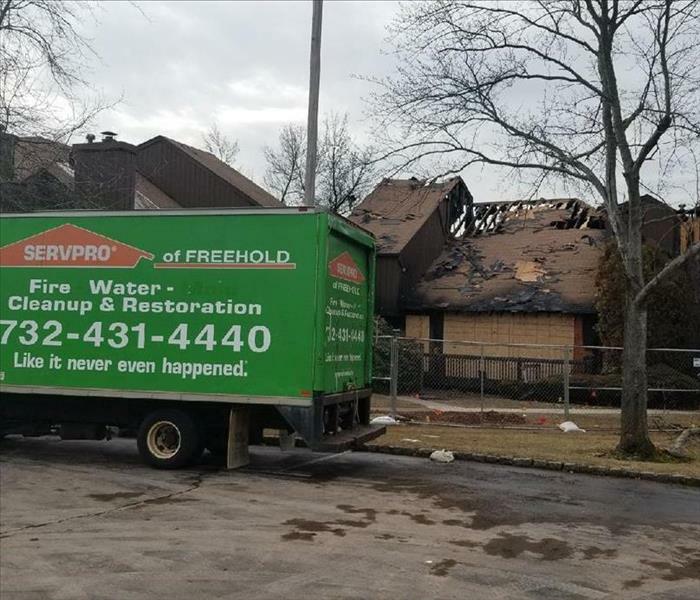 After traveling from New Jersey down to North Carolina to help with the cleanup of homes and businesses, SERVPRO Of South Jersey City/ Bayonne immediately went to work removing unsalvageable materials from affected structures. 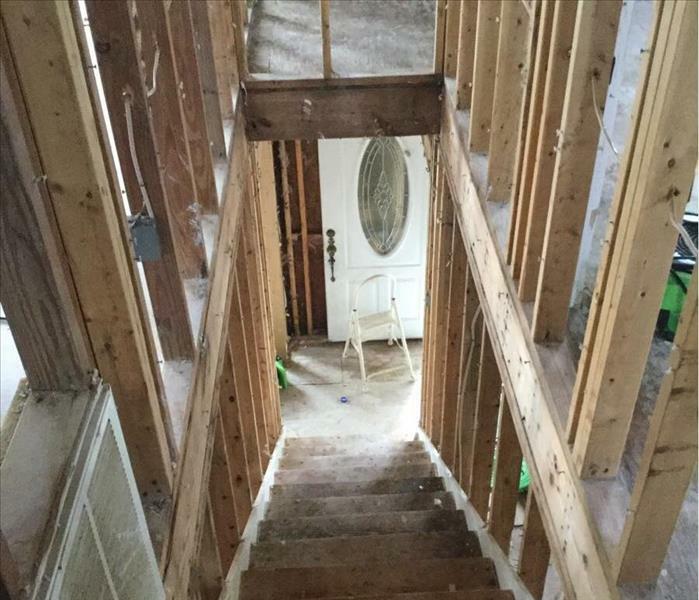 This photo shows a home which required all of the drywall, insulation and flooring to be removed as the materials were completely damaged from the attic to the basement. A pipe burst due to the extremely cold winter temperatures. 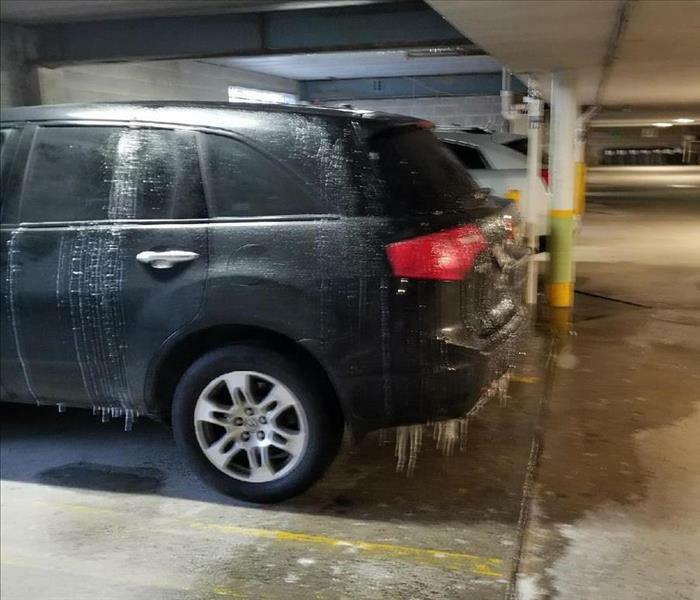 The resulting water trickled down to two floors below into the garage and proceeded to freeze. Proper heating could have prevented the damage from occurring, but SERVPRO Of South Jersey City/ Bayonne was able to clean and dry the area in three days. The management at Six Flags Great Adventure in Jackson, NJ called in our SERVPRO professionals to clean their new Battle for Metropolis ride prior to its grand opening! SERVPRO Of South Jersey City/ Bayonne works with the theme park on a regular basis and they were very impressed with the final cleaning before the big reveal! Due to a water loss, the ceiling of a high school auditorium collapsed on the mezzanine section. SERVPRO Of South Jersey City/ Bayonne responded to clean and dry the large mess immediately. The school was very impressed with the results! 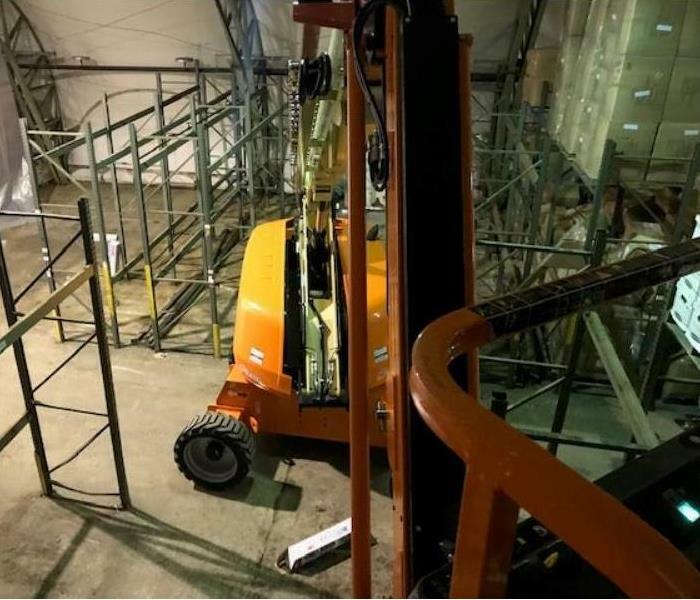 SERVPRO Of South Jersey City/ Bayonne was called to clean a large storage warehouse at a local theme park. The high ceilings required a special crane to hoist the cleaning technicians up to the areas which needed attention. 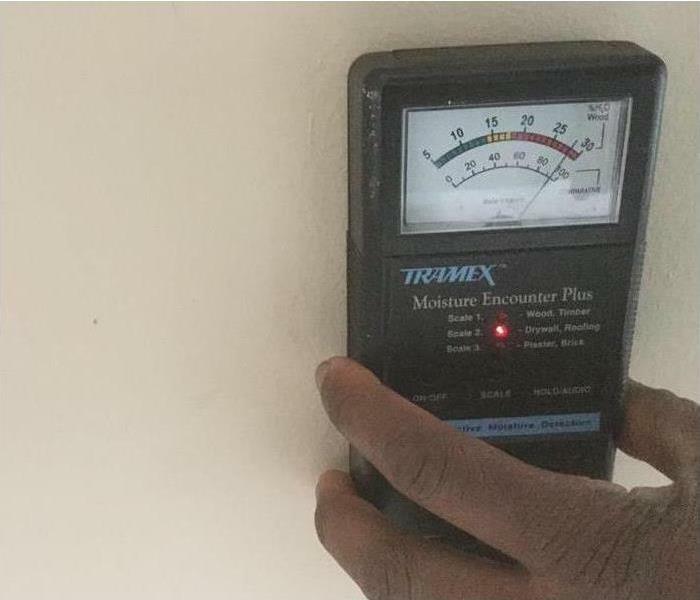 The customer was amazed by the effort to complete the project safely and effectively. 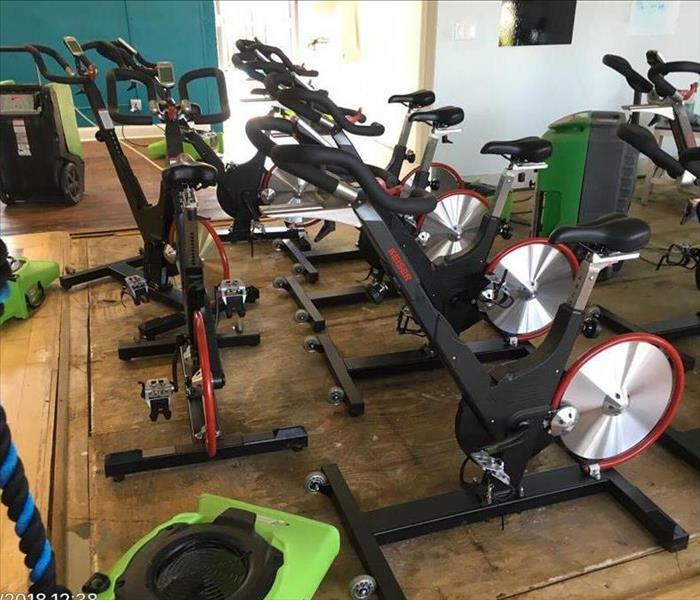 A gym in Hoboken called SERVPRO Of South Jersey City/ Bayonne professionals to remediate a water loss due to a flood. The gym remained open while we performed the dry out of the affected areas. The Lakewood Blue Claws' stadium had a water loss which needed to be removed and the affected area dried. They called SERVPRO Of South Jersey City/ Bayonne to come and the job was completed in three days! 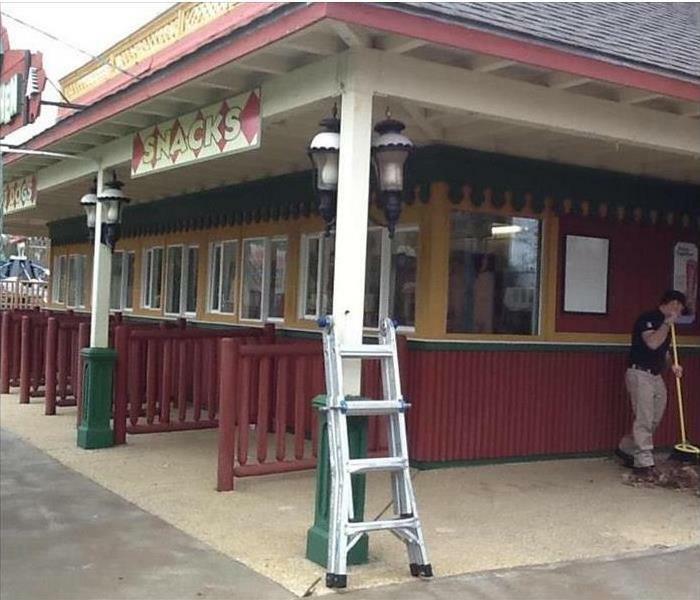 Our professional SERVPRO team was called into complete a commercial cleaning job for Six Flags prior to their opening. They trusted us to thoroughly clean every inch of their eating establishment so that they could be ready for opening day. 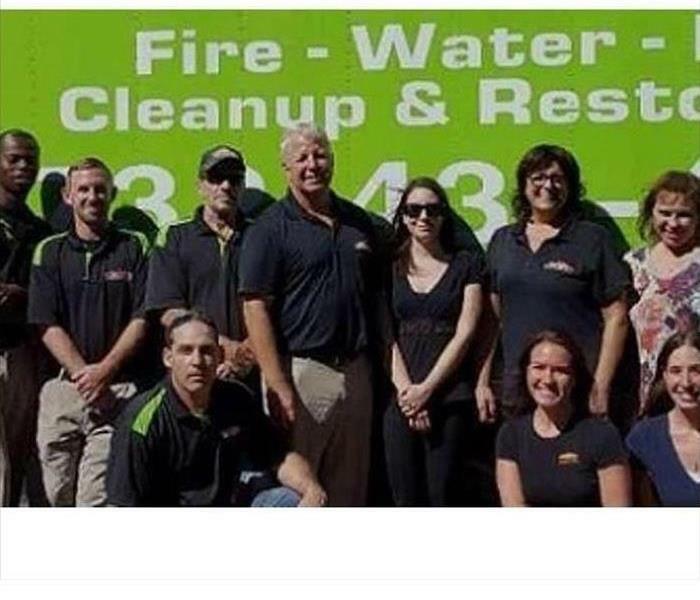 SERVPRO has the right cleaning agents and expertise to make your business or restaurant shine. This picture shows thermal fogging following a fire in an effort to clear the air and remove any odors remaining after the fire. This is a final step performed by our team after demolition of affected materials. Cleaning up after a powerful hurricane requires a great deal of time and strength. 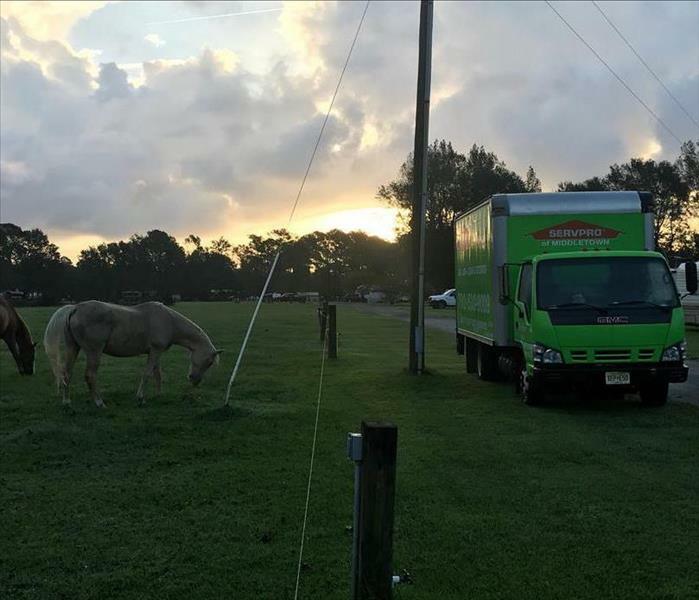 Here are our trucks at a job site which was affected by wind and rain from a Hurricane. 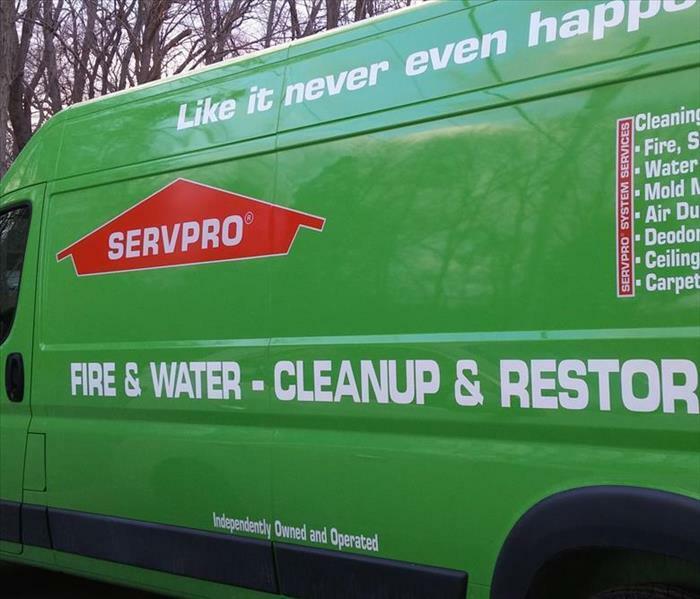 SERVPRO Of South Jersey City/ Bayonne is always ready to respond quickly and effectively after a disaster! 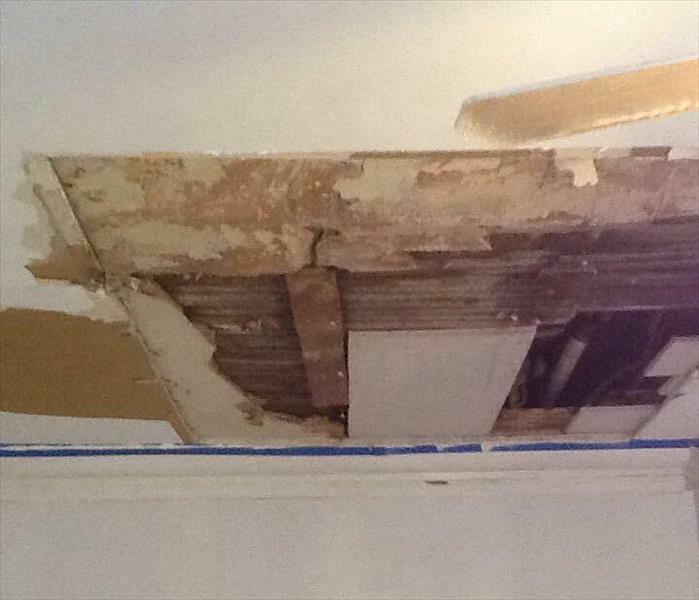 This is a water damaged ceiling which resulted from the apartment one floor above. 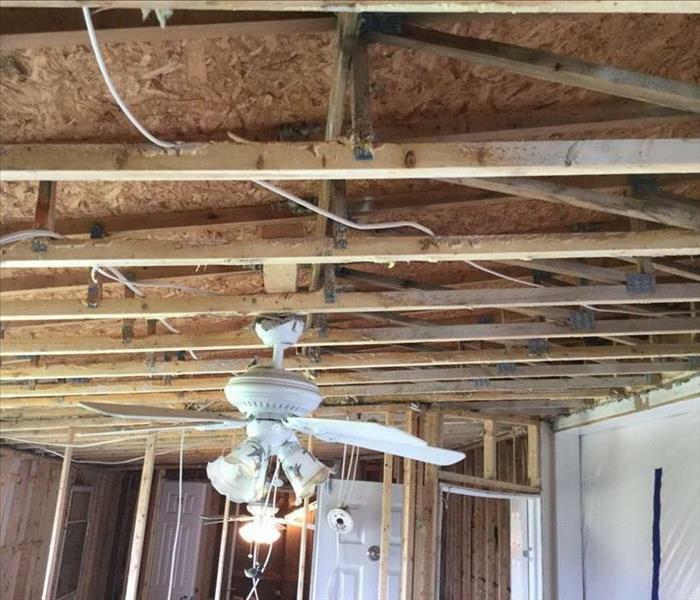 The drywall was falling off and the floor beneath was wet from the dripping pipe in the ceiling. 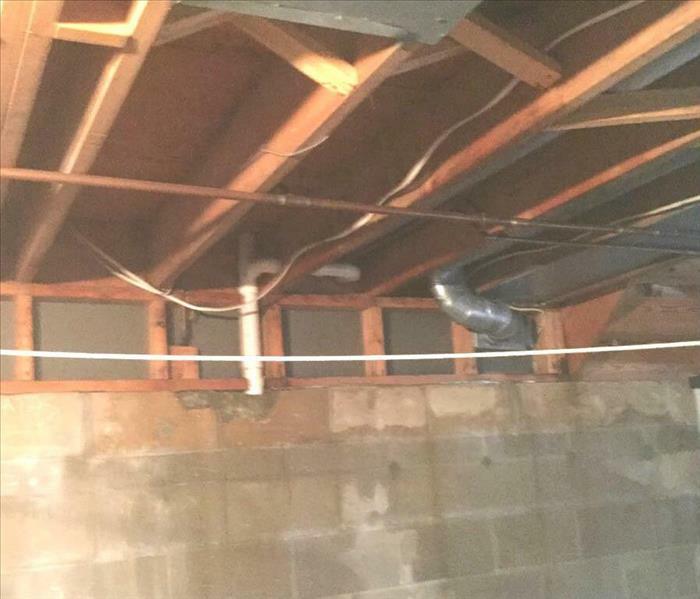 Our SERVPRO Of South Jersey City/ Bayonne crew was able to remove the affected drywall and completed the dry out of the room in three days. While performing a duct cleaning for a business, our SERVPRO team removed an air vent to start the process. 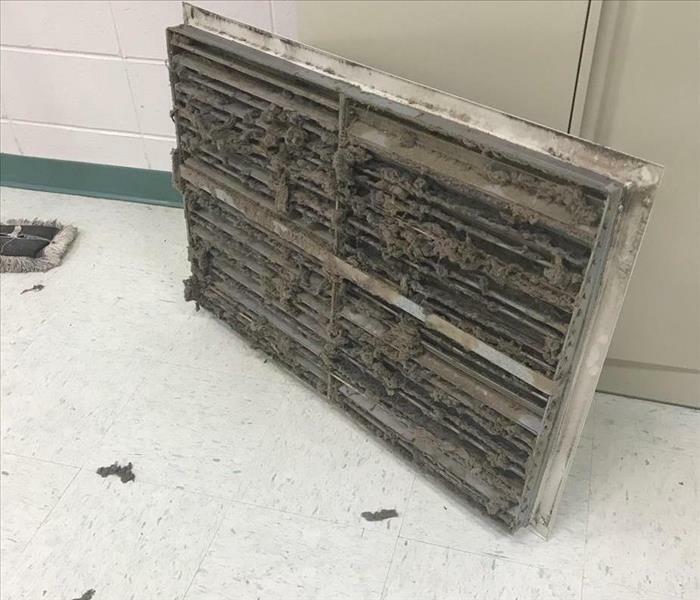 The amount of dirt which had gathered behind the vent was staggering! 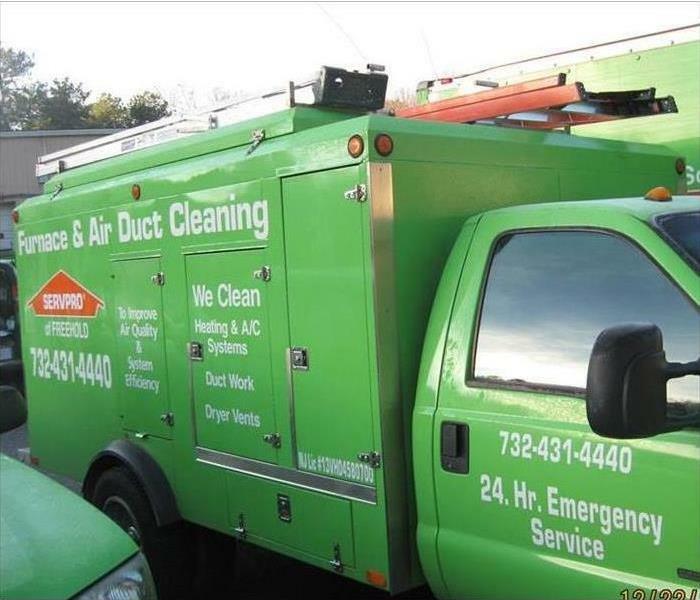 It is essential to have air ducts and HVAC filters cleaned and changed regularly by SERVPRO Of South Jersey City/ Bayonne professionals to ensure clean air and a healthy indoor environment. 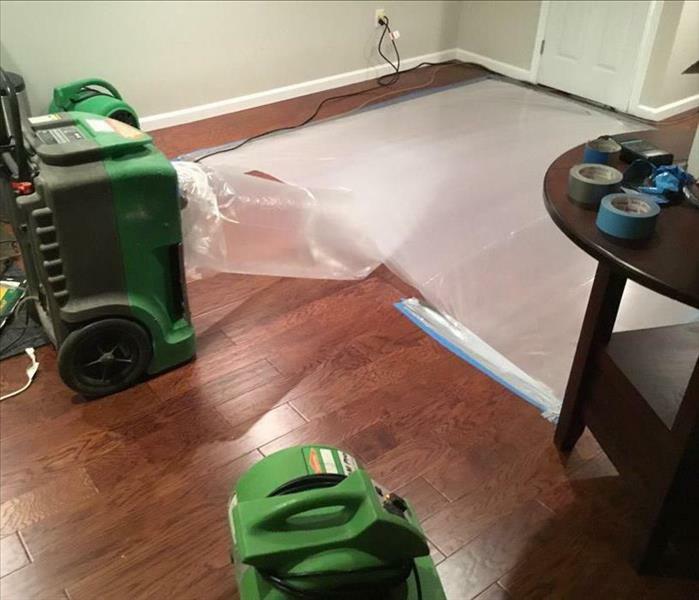 After cleaning up this water damage, the crew tented the floor and directed the dehumidifier output via a duct under the containment. 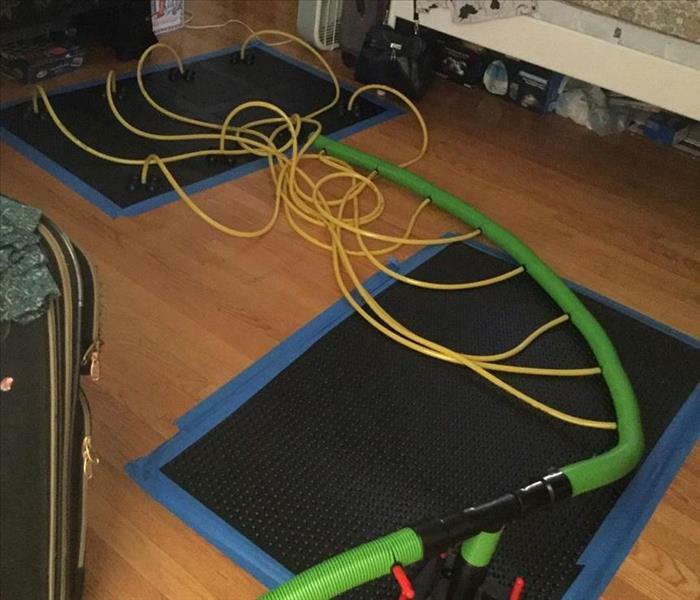 This method of drying allows SERVPRO Of South Jersey City/ Bayonne to save the flooring from demolition as the dehumidifier can remove the moisture from the floor in an expedited manner. 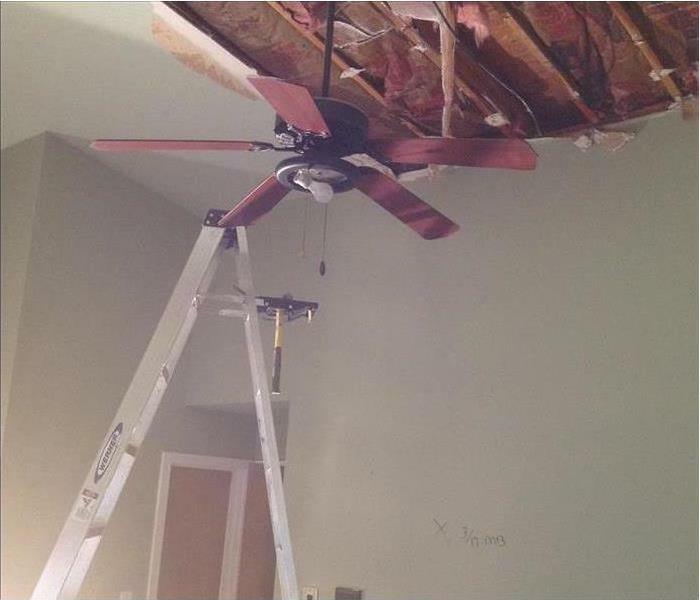 This is the ceiling of a bedroom on the second floor of a condo, which following a wind storm had its roof blown off. The contractor who was called in to fix the roof called SERVPRO Of South Jersey City/ Bayonne to complete the demolition and dry the home out. A sewage loss which is not immediately remediated can turn into mold. 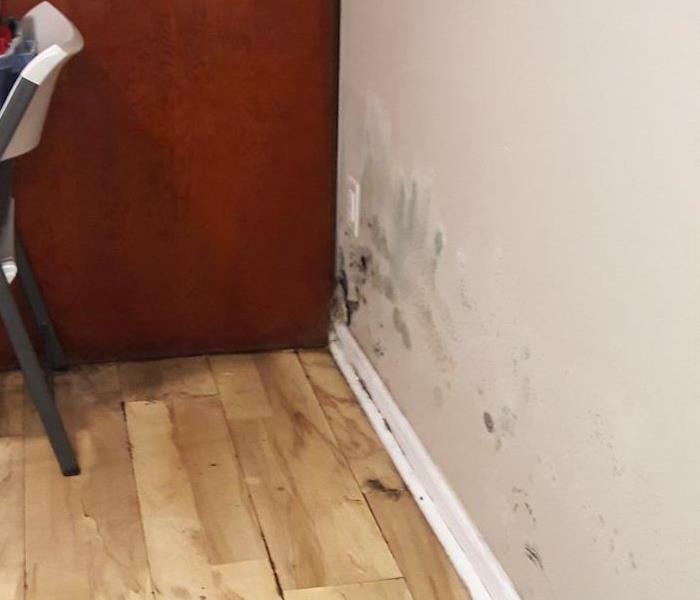 This picture shows the mold which resulted from a sewage backup in which the source of damage was not immediately fixed and the resulting contamination was not properly cleaned. SERVPRO Of South Jersey City/ Bayonne was able to clean and remove the toxic materials from the home in just a few days. 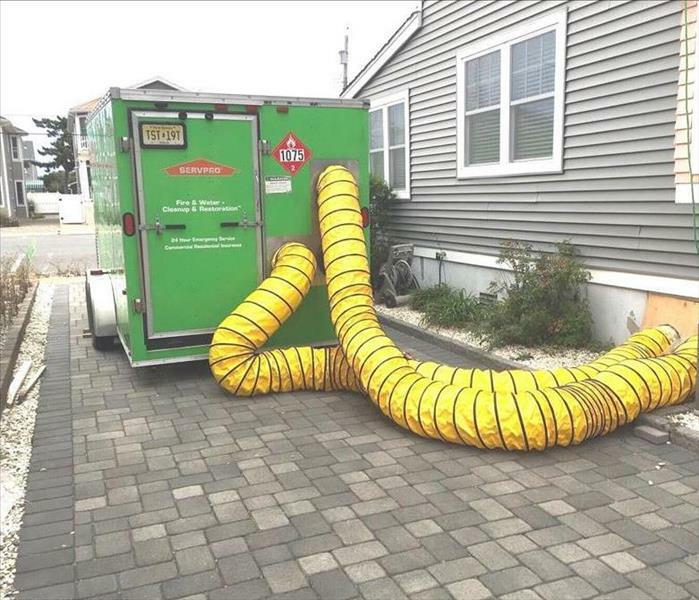 The SERVPRO Of South Jersey City/ Bayonne duct truck is always ready to service HVAC systems. Throughout the year, dust, mold and various toxins can build within the duct system and cause the air quality within the structure to diminish. Our SERVPRO cleaning team is specially trained and equipped to perform this essential service for residential or commercial properties. In addition to the standard duct work, our crew will also clean out clothing dryer vent systems as these are often overlooked and are the source of many destructive fires every year. This is our trailer mounted desiccant at a job site in which water from a leak had flooded the house for an extended period of time. The machine is able to extract a sizable amounts of moisture from the air of a large space. This prevents mold from forming and dries the building in a shorter period of time. It is a very useful tool for the significant water losses SERVPRO Of South Jersey City/ Bayonne responds to. This water loss started in the second floor bathroom and ran all the way down to the first floor and then down to the basement. Water is extremely destructive and SERVPRO Of South Jersey City/ Bayonne is always ready to contain and prevent further damage. This damage resulted after a lawn mower caught on fire right outside the house. The owners were not at home at the time and the damage was extensive as the fire spread from the machine to the house very quickly. 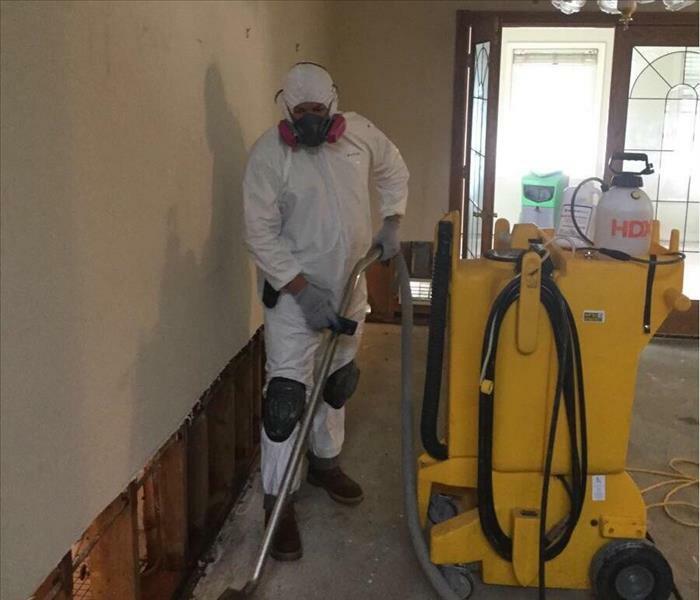 SERVPRO Of South Jersey City/ Bayonne was able to assess the site quickly and began remediation efforts immediately. Just because a wall does not look wet doesn't water is not hidden beneath it. SERVPRO Of South Jersey City/ Bayonne utilizes highly specialized equipment to test all materials to determine how wet a wall or other surface is. Our goal is to dry out your home or business with the least amount of disruption so it looks like it never happened. The SERVPRO of South Jersey City/Bayonne team members are always ready for whatever happens! We pride ourselves on having friendly and professional members of our team help you with any disaster. We are here 24 hours a day!